One of the many reasons people enjoy performing homeowner DIY projects is the satisfaction of a “job well done”. Sometimes, the reward can be a freshly painted wall or newly built tree house. For a project like sealing the crawl space, the results are a bit more complex. Tracking the results as I have served two purposes 1) it supports the steps I took to get the results and 2) provides you the data in a way to analyze your own situation as well as understanding the steps that may be required to achieve the intended outcome. The overall objective was to bring the humidity level down to an acceptable level (60-65% range). Based on the numbers, I am not there yet, but looking at the trend, I should be there in a reasonable time frame. As measured in my pre-sealed condition the following chart shows an RH average of about 81%. Through my inspection and sealing efforts, I found small accumulations of some mold (as expected). Additionally, at times it was noticeably damp. With RH at this level it is too high to leave untreated. As you can see in the second chart with the crawl space sealed, the temperature stayed about the same but the RH moved around a bit more. Overall the RH averaged about 80% . In the third chart we see a noticeable reduction in RH. On average, in this test cycle, the crawl space has averaged 68% RH. The spikes and elevations are occurring based on my decision to shut down the fan for about 4 hours a day. As we have seen in various studies, the worst time for humidity is during the higher seasonal temperatures. Currently we are on a 14 day run of +100 degree days. I will continue to spot check the RH for the next year. Even though I have not reached my goal of <65%RH, I believe we will continue to see a progressive downward trend as my measured RH in the house has been in the low 40% RH. Conclusion: The following items reflect a snap shot of the steps I took to get to this final place. To see the details of the entire process read the following posts; Landscape Drainage, Landscape Drainage and Inspection, Crawl Spaces; Basements without Benefits, Sealing the Crawl Space, and Crawl Space Sealed with Positive Ventilation. Proper Drainage: Adding the proper drainage reduced the opportunity to saturate the ground underneath the house by driving the water to the streets and storm drains. We were unable to totally eliminate the damp soil condition under the house but we were able to reduce the impact. Sump Pump: Due to the amount of water accumulation in the crawl space, even after the drainage correction, adding a sump pump in the deepest part of the crawl space made sense. (NOTE: In my region, it is not uncommon to receive large excessive amounts (3-6″) of rain in an afternoon). Without immediate remediation, this water can stand and a permeate the crawl space with excessive moisture for months. Vapor Barrier: By sealing the crawl space floor with 6-8 mil plastic, the porosity of the dirt floor has been removed from the equation. 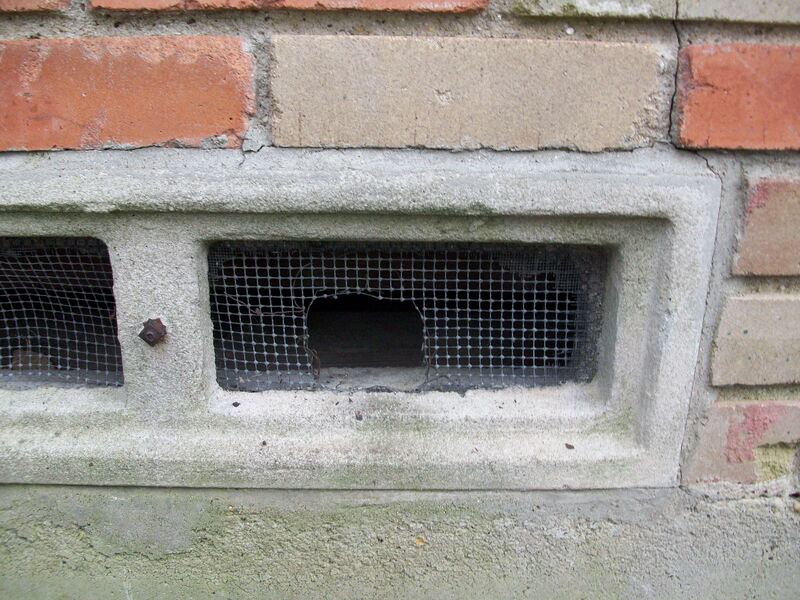 Crawl Space Vents: As recognized in earlier posts, crawl spaces in regions with high summer time humidity levels are good candidates for sealed crawl spaces. My region is border line based on the studies, so by measuring the real-time humidity, I elected to seal the space. 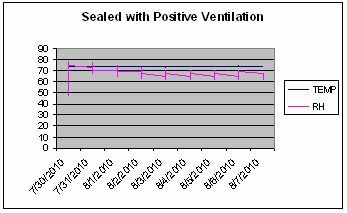 Positive Ventilation: As indicated in the chart, the positive ventilation of the low humidity air found in the conditioned space of the house caused the RH to trend downward. This is a low-cost solution compared to a dehumidier that can cost $1000. To date, I have not recognized any negative effects of using this method to reduce the humidity in the crawl space. Dehumidifier: Not that it couldn’t be required, as the current RH is still greater than 65%, a dehumidifier will bring the crawl space in compliance. Fortunately we did not have to go to that extreme. 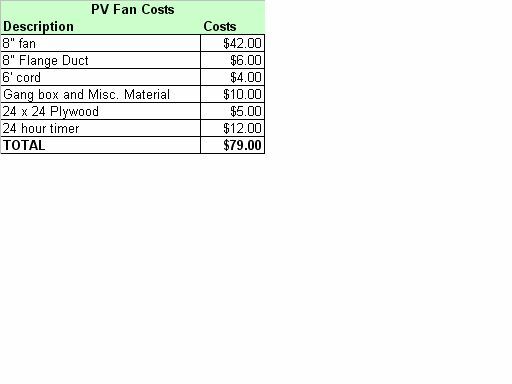 By using the PV Fan (found in Crawl Spaces-Sealed with Positive Ventilation) we were able to reduce the humidity levels. As I mentioned in the beginning of this venture, this project is not for the faint of heart. It is very time-consuming and very labor intensive. If you contract it out, it will be expensive. However, if you have had mold and moisture problems this should eradicate the issues. Good Luck BOB. This series of articles actually started with drainage. But as most everything goes, they are all inter-related. Just to catch up; a dirt floor crawl spaces can be problematic, they present many opportunities for excessive moisture, mold, bugs, termites.. and the list goes on. 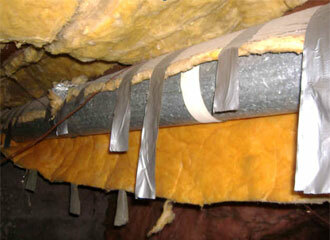 As we continue to attempt to make our houses more energy-efficient, problems can be created by sealing and insulating. This is especially an issue in regions that have naturally high humidity. 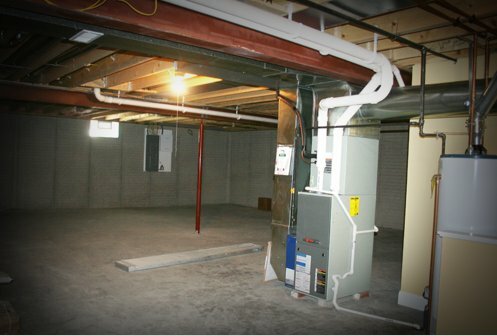 Within the series of articles; Landscape Drainage, Crawl Spaces – Basements without Benefits and Sealing the Crawl Space we stepped through identifying potential problems and the process of correcting the problems just to get to the point of sealing the space (to keep from creating additional problems). After sealing the dirt floor, the final steps are to seal the perimeter vents and create a positive air flow of conditioned air from the interior of the house. As I previously mentioned, a product such as a Crawl-o-Sphere is designed to pull in this conditioned air into the crawl space. As an alternative, I created a homegrown device with similar results. I am tracking the before and after results to validate the change. For test gear, I used the Onset dataloggers for temperature and humidity recordings. Sealing the Vents : This is pretty straight forward. The age of the house will dictate the style of vent, but the process is still the same. Here is the material and the process to compete this phase. 3/4 inch fiber board cut to fit. PV-Fan Design and Installation: The fan will drive this low moisture air into the crawl space to further reduce the moisture content. 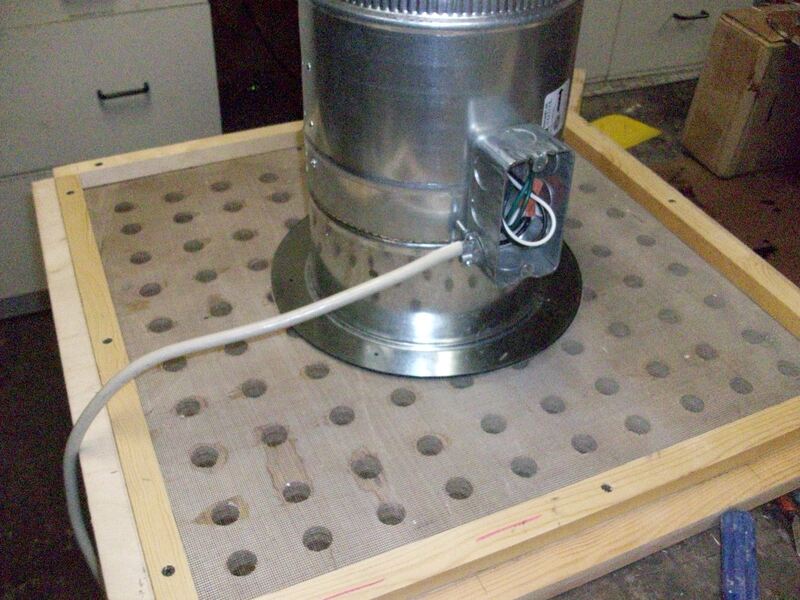 Based on the calculations in my last article, the 8″ fan should exceed the building code requirements. The fan will be scheduled to run 4 hours a night between 1 & 5AM (TIP: With the timer, I can adjust this accordingly to meet the stated moisture content). My RH datalogger showed this to be the timeframe with the lowest amount of humidity in the house during a 24 hour period. The following pictures show my home brew version (aka PV-Fan). As much as I thought about it, I couldn’t bring myself to cut a hole in the hardwood floors. 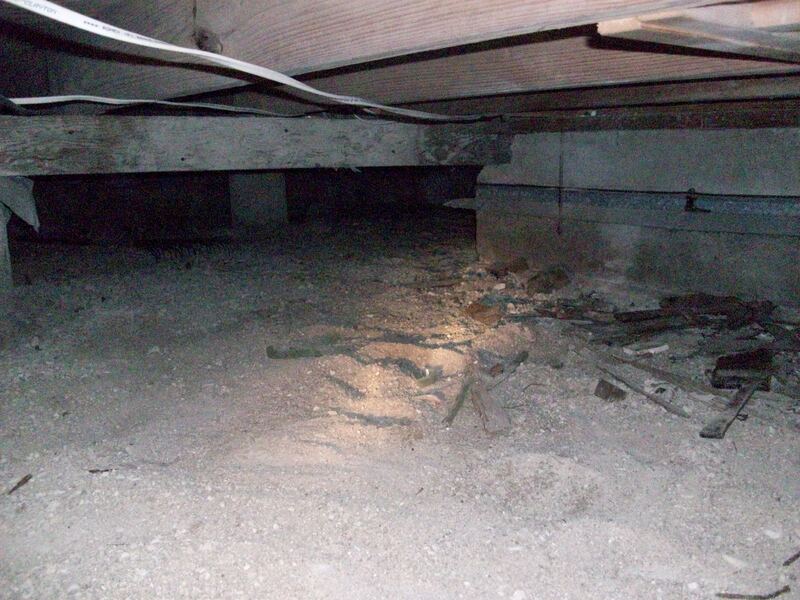 Many houses with crawl spaces include some form of trap door from the interior of the house. If that is the case, you can remove the existing door and replace it with something similar to mine. I cut a piece of furniture grade plywood to fit, drilled with holes for ventilation. NOTE: You only need holes that equate to the surface area of the size of the fan. The reason I ended up with holes throughout the new door was based on earlier experimentation with passive air flow to see if that would work without forced air…. it did not. I used cardboard and aluminum tape to seal the holes around the fan. You can also stain and seal the new door to match the floor. Gang box and 6′ 3-conductor (W/B/G) jacketed wire with 3 prong plug. 24″x 24″ furniture grade plywood with 3/4 holes throughout the surface. 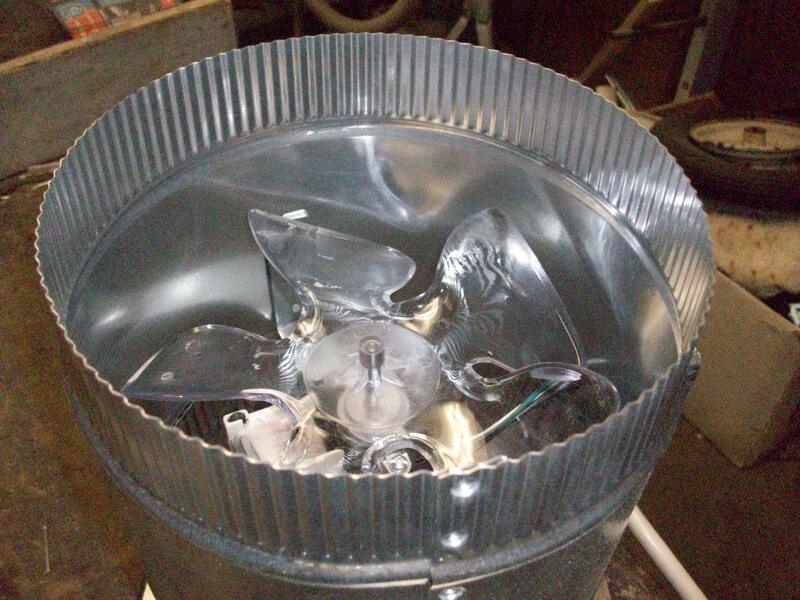 1 – 8″ boost fan, typically used to boost air flow in existing duct systems, they are available in many sizes. I purchased mine from Smarthome.com. Use the calculation in the previous article to determine the amount of CFM you need for the size of house. This will tell you how large of fan is necessary. 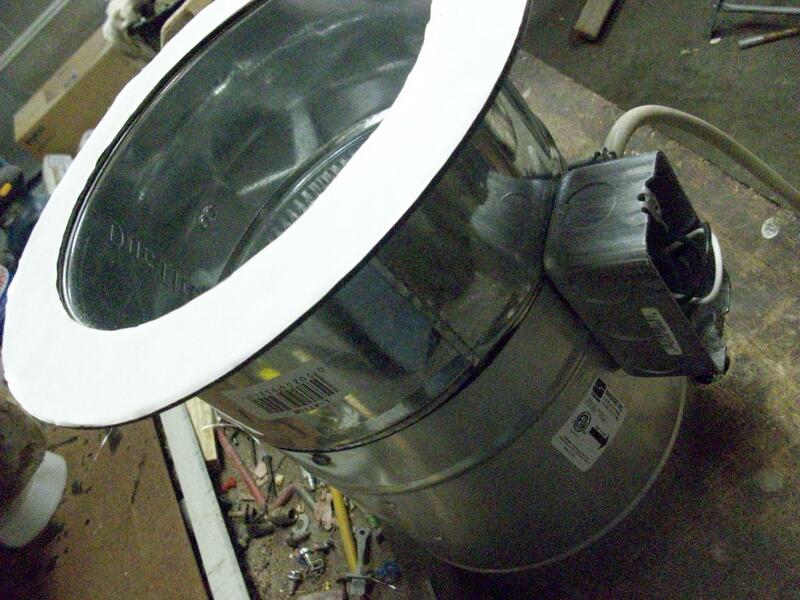 Add a metal gang box to the side of the fan to attach the factory wiring to a plug cord. Also add a flange (picture 2) allowing a lip to secure to the new vented door. Mount the fan (flange) with short screws to the new plywood door. The screws must be less than 3/4″ long. Install a GFI outlet near the crawl space to plug in the fan. In addition to the positive flow fan, the code also states ….a return air pathway to the common area N1102.2.8. Fortunately for me I have a second hatch door in the new part of the house that works out perfectly. My situation is a bit unique so if you are looking at creating a PV-Fan system, look for an inconspicuous location to place a vent equal to or greater than the dimension of your PV-Fan. NOTE: So far, I havent experienced it, but initially, you may find a mildew smell in the house based on the return air. Assuming you sufficiently sealed the crawlspace; this should pass. I have completed the job and am currently in test mode. I want to “let er cook” for a couple more weeks. So look for the data in the next article. 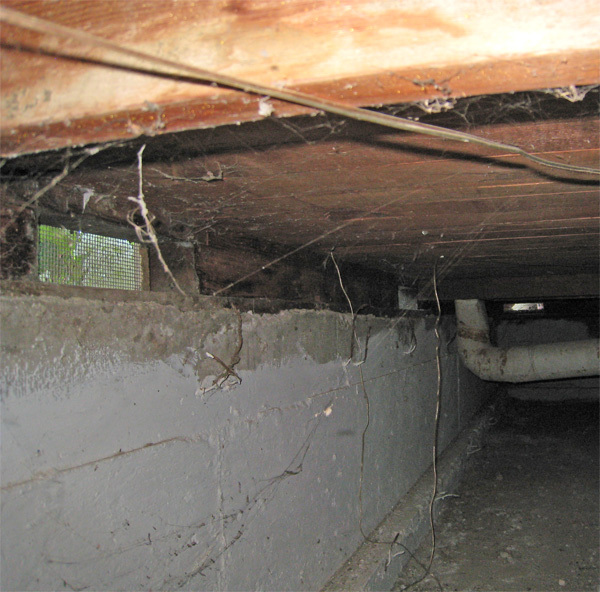 Crawl-space construction has the greatest likelihood of having mold, mildew and wood rot issues than any other residential construction foundation. It is very common to find this space musty and damp, partially due to the dirt floor. Wood rot occurs when moisture content is greater than 27%. Insulating and sealing the floor of the house may actually increase the humidity in the crawl space. So if you are planning to insulate the floor, go on and seal the dirt floor. The Do Nothing Approach: If you find the temperature and RH at an acceptable level, no mold, air quality or pest issues; the best decision may be to leave it alone. On the other hand, if you are planning to insulate the floor, this may actually cause you to have a moisture problem. By nature low humidity areas will draw moisture from high humidity areas. So, by placing insulation between the dirt floor and the conditioned space, the humidity in the crawl space can increase because the insulation will block the humidity migration from the crawl space to the conditioned area. This same principle applies where the crawl space is lower in humidity than the ambient air outside the building envelope. When insulating and sealing the house you may actually increase the humidity in the crawl space. So if you are planning to insulate the floor, go on and seal the dirt floor. Sealing the Dirt Floor Crawl Space: As a DIY project; this is not for the faint of heart. This requires many hours under the house. Having a helper for this project will greatly reduce the amount of time. This process is not about laying down some plastic sheets and calling it done. This purpose of this is to seal the crawlspace from the dirt floor. The plastic should be placed smooth and flat to the dirt floor. Sealing all the joints, seams and obstructions. The professional charge for this can be as much as $4 a square foot. Since I did this by myself, I figure I have over 100 hours in the task with a lot of sore muscles and scratches on my head. Granted, I have not been in a hurry, and I work on it when time permits. The first step in controlling the RH and moisture content of the crawl space is to ensure you have adequate drainage. 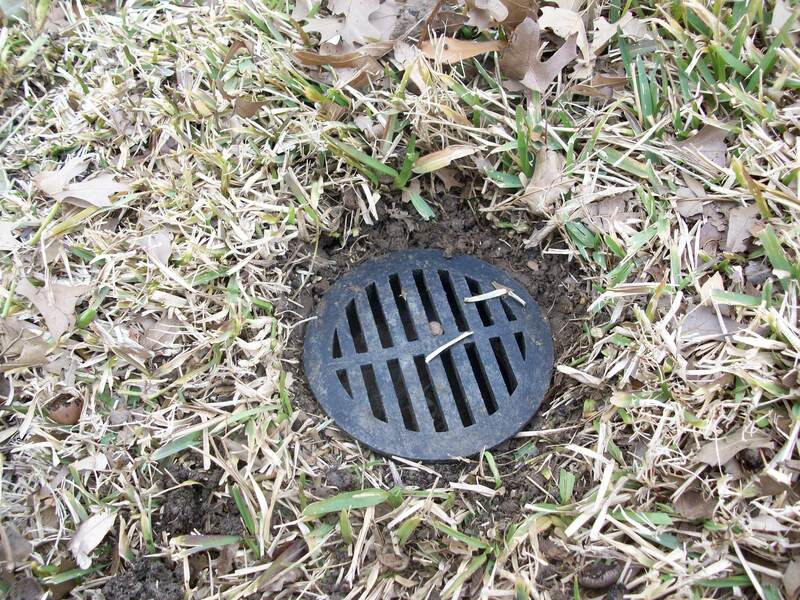 Read my article on Landscape Drainage and take the appropriate steps. Clean the space. Remove all construction debris and any sharp objects. Grade the soil as best as you can to create a dome in the center with no low pockets in the surface area. This will keep the moisture near the perimeter of the structure. Sump Pump Option. If you see that you may be adding a sump pump as needed for severe conditions, you create water channels to the lowest spot in the crawl space. The sump pump should be located here. Adding the pump can be performed before or after sealing the floor. TIP: If you have found water completely covering the crawl space floor, even after addressing drainage issues, adding the sump pump is inevitable. Layout and install 6-8mil plastic sheeting on all exposed ground surface. There has been a lot written by professionals saying 6-8 mils is too thin and that a 20-22 mil product should be used. So far, in my application, I have not seen any drawbacks mentioned by using the 6 mil product, but if you foresee a lot of traffic or circumstances that may warrant it, you may consider using the thicker product. As you have already figured; its a lot more expensive. The bottom line is reducing the humidity and thicker product is no more impervious than the 6-8 mil but is less likely to be damaged by activity. Overlap all plastic sheets together, use landscape stakes to anchor the material on the crawl space floor. Use a good quality duct tape to seal all the seams. Place the sheets with an excess of 6-12″ of material at the exterior beam. Use a mastic (liquid nail) to seal the plastic sheets to the foundation beams. Cut plastic around all protrusions (concrete piers, plumbing pipes, etc.) and seal the plastic around the obstruction with duct tape. You can use 3/4 insulated fiber board to insulate the perimeter beam to add insulation value. 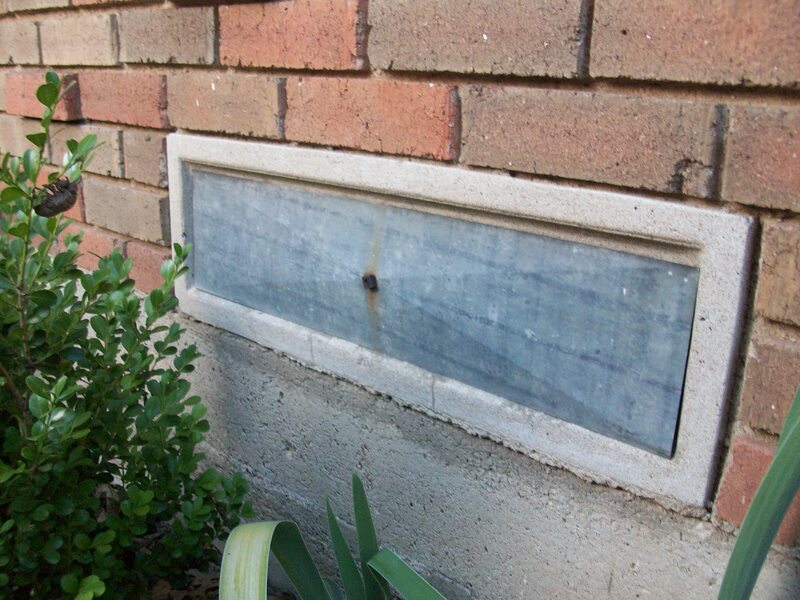 In some cases this may create greater access for termites. At a minimum, completing item 7 will help with the moisture issue. Use a liquid nail type adhesive to attach the fiber board to the perimeter beam. As you figured, this is dirty work and you may now understand why professionals are paid a premium for this service. The goal is to achieve RH of 60% or less; anything greater will increase the opportunity for termite infiltration. If you purchased a RH probe, you should notice instant results. As mentioned earlier, if you live in an area with high humidity you will need to take further steps to get below 60% goal. 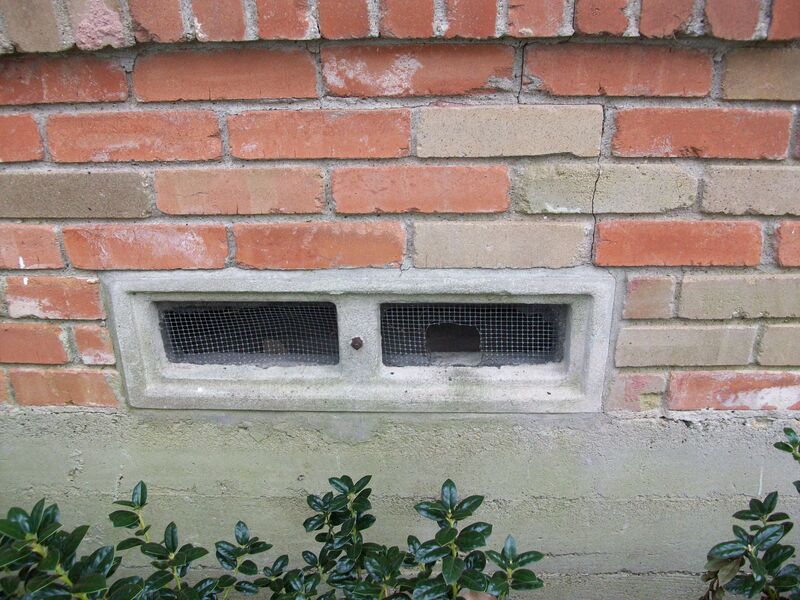 Seal the crawl space vents: Controversial in some municipalities, but gaining acceptance in areas that experience high humidity in the summer months. By sealing the space from an exterior environment you may reduce this humid air from its natural migration into the crawl space. This alone may resolve the remaining humidity problem. However some codes require that you add some type of positive ventilation (see below; “By the Code”). 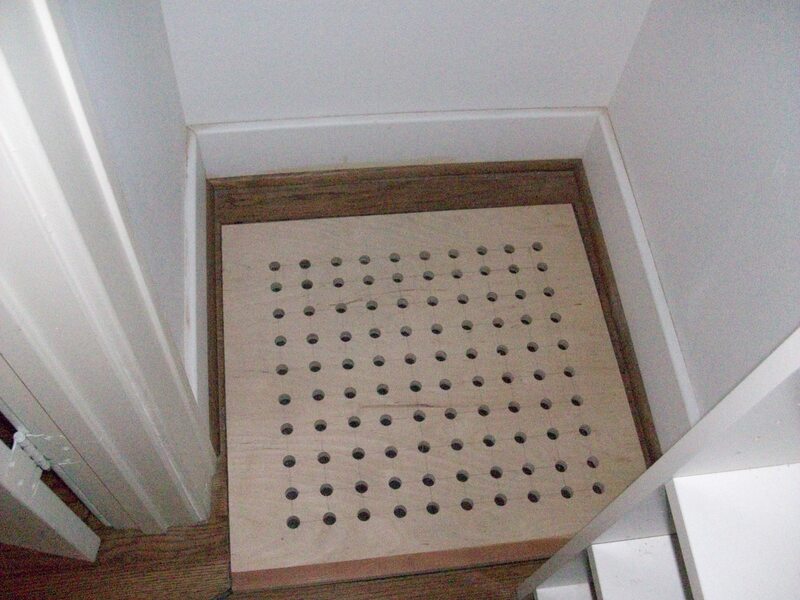 If you seal the vents from the outside, plan to fill the grate with a foam board then use the vent covers to seal the deal to leave a finished look. 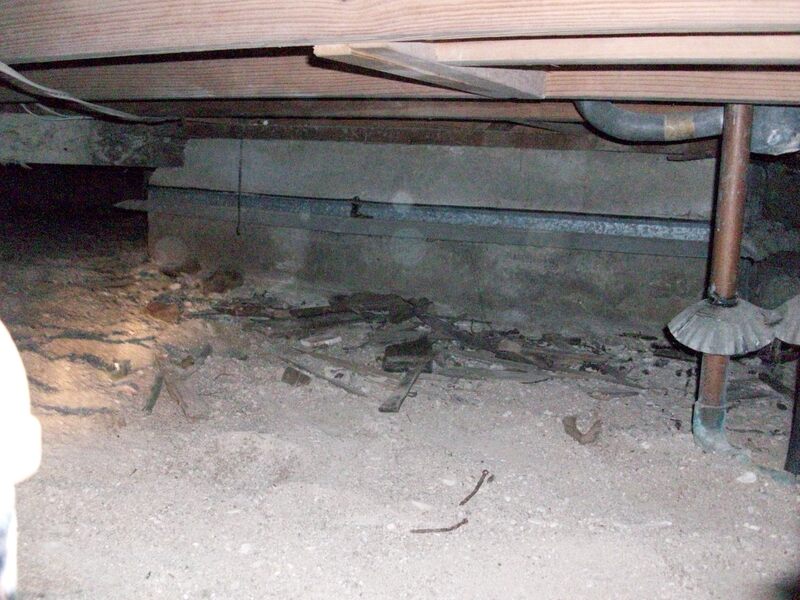 Also read my post Crawl Spaces: Basements without Benefits. Conditioned Air: Some studies have shown that introducing air from the conditioned (living area) space to the crawl space will adequately reduce the humidity. 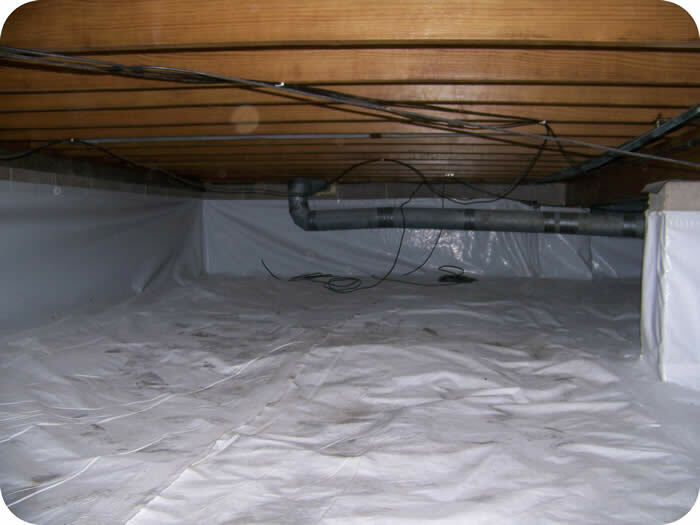 If you have chosen to seal the crawl space, most codes that recognize sealed crawl spaces require them to have some form of positive ventilation or dehumidification. I found an interesting product that does this, but it appears (so far) they only sell it as part of an installed service. Crawl O Sphere System. I created a DIY solution to provide simular results to the Crawl O Sphere. Go to this link to see my solution. Dehumidifier: (Optional) Adding a dehumidifier will draw additional water out of the air. A crawl space rated dehumidifier for 1500 sq. ft is approximately $1100. This is an expensive step, but if you are having severe problems this may be your only choice, it will work. 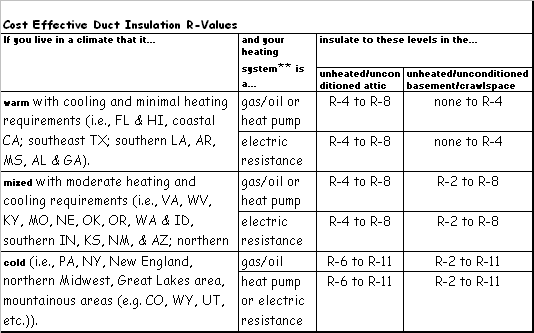 As an alternative to the dehumidifier look at #2 or #4 as your other options. One of the three should be sufficient to bring the space into compliance. 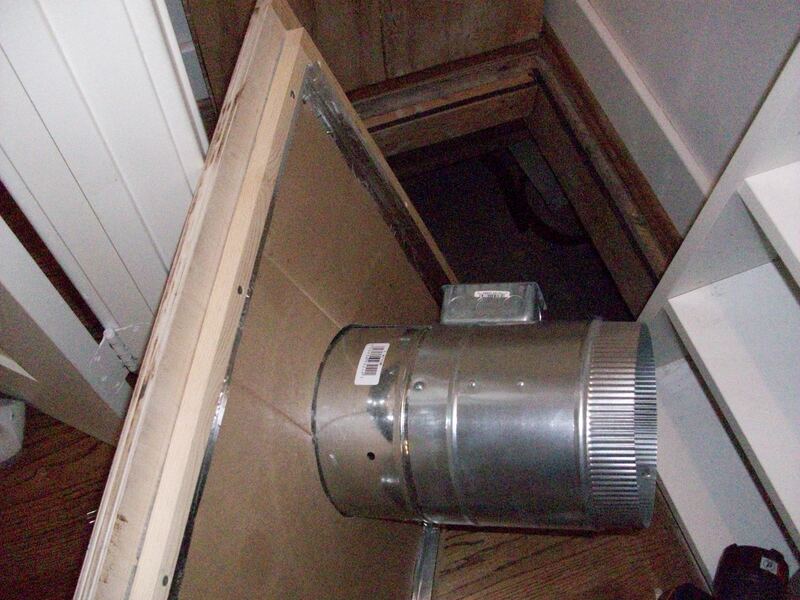 Duct warm dry air from the attic space to the crawl space: (Optional) Other studies have shown that by pushing dry air into the crawl space from the hot attic may be enough to make the necessary adjustment. To date, I have not seen a fan system to perform this correctly to transfer the air based on the correct conditions. This would require a fan with both stationary and remote temperature and RH monitors. The primary difference between these two are that #3 draws the moisture out of the existing air where #2 pushes dry air into the crawl space to dry the space. The Crawl O Sphere could probably be adapted to an attic space type application. Since I do not have a good avenue to get the attic air to the crawl space this is not an option for me. By the Code: I have attached the excerpts from the IRC code that has been adopted by my city of residence. So for this reason, I should not have code issues down the road due to an inspection. For greater details, take a look at this site; Building Energy Code Resource Center. Exposed earth is covered with a continuous vapor retarder. 2.1 Continuously operated mechanical exhaust ventilation at a rate equal to 1.0 cfm (0.47 L/s) for each 50 ft² (4.7 m²) of crawlspace floor area, including an air pathway to the common area, and perimeter walls insulated in accordance with Section N1102.2.8. 2.2 Conditioned air supply sized to deliver at a rate equal to 1.0 cfm (0.47 L/s) for each 50 ft² (4.7 m²) of under-floor area including a return air pathway to the common area, and perimeter walls insulated in accordance with Section N1102.2.8. 2.3 Plenum complying with Section M1601.4 if under-floor space is used as a plenum. Next time, I will provide details on sealing the exterior vents and building the positive flow fan for the air supply. You are currently browsing the archives for the Crawl Spaces category.